Simple sweet and delicious baby carrots, enjoy! Bring a medium-sized pot of lightly salted water to a boil. Add carrots and boil until tender, about 5 minutes, then drain. 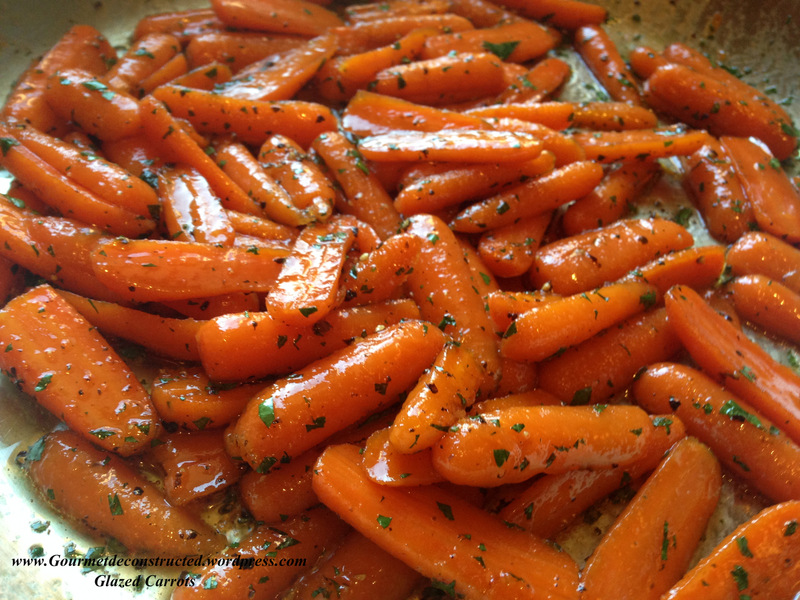 Heat up a large saute pan with butter, honey, and lemon juice; then add the carrots and chopped parsley. Cook on medium-high heat and stir until the sauce thickens a bit and a glaze coats the carrots, about 7-8 minutes. Season with salt and white pepper, garnish with a parsley sprig and serve. Bon Appetit! Posted on December 30, 2013, in Meatless Mondays and tagged carrots, honey glaze, meatless mondays, vegetarian. Bookmark the permalink. 6 Comments. Very nice Justice. A good way to start the week. A sweet vegetable made even sweeter 🙂 ! Hope you were happy with your Christmas and may at least most of your wishes come true in the New Year!